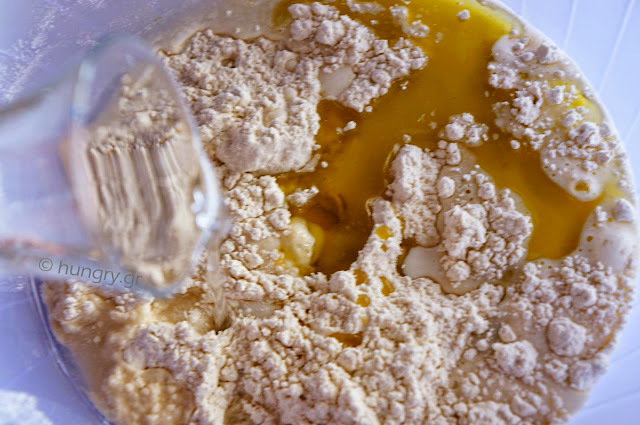 … until somehow unite the ingredients and we can gather in a dough ball. 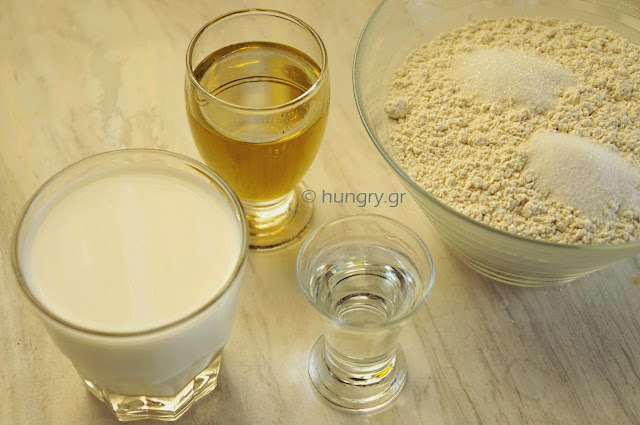 If necessary add a few tablespoons of milk or water. Wrap it in transparent cling film and set aside for 1 hour, covered with a towel. 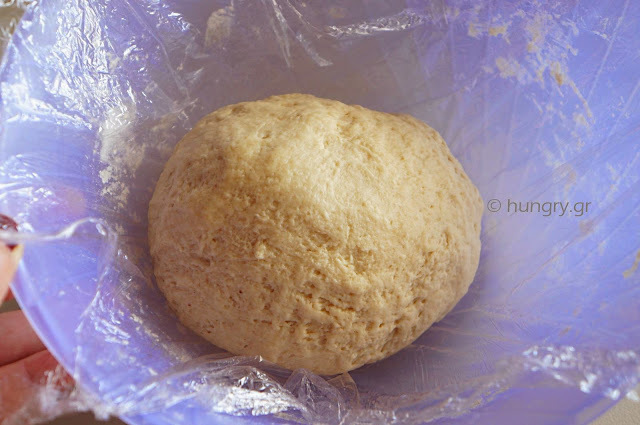 In half hour knead again for a while, then wrap again in film and leave for the rest of time aside. 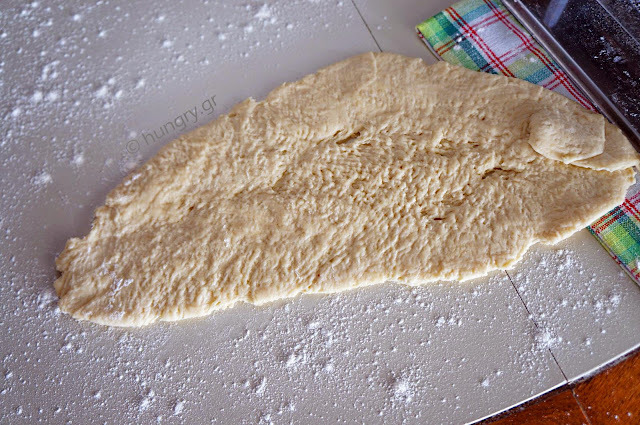 Place the dough on the work surface and cut in four. 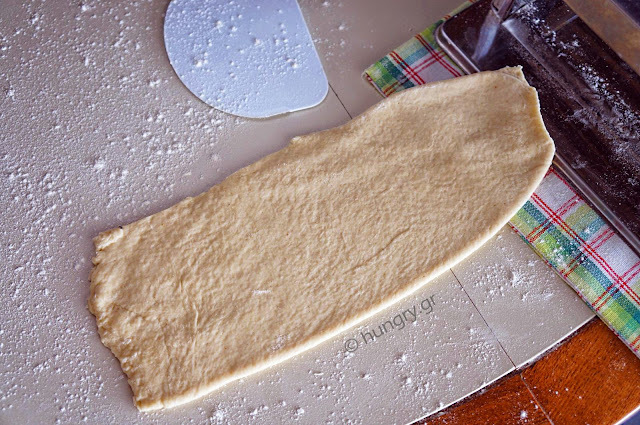 Continue, with each piece separately, to open a relatively thin sheet with a rolling pin or, as here, the dough machine for those who have such a machine. Mount the machine on the counter and flour lightly. Pass the first piece of dough, by selecting the setting No1 of the machine, that is the widest dimension between cylinders. The sheet will come out lumpy and coarse. Flour the surface, fold it in two and pass it again by the same machine. 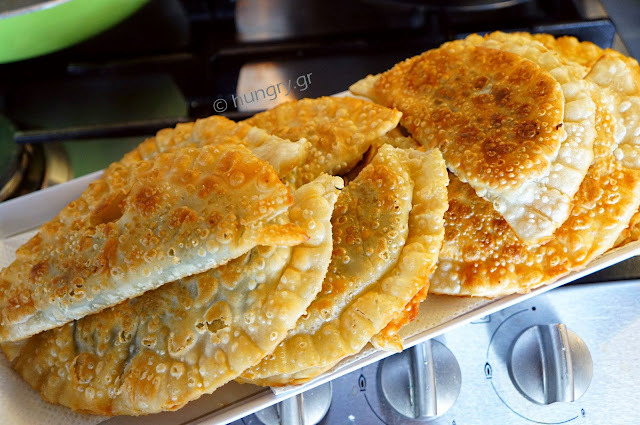 This basic process of the dough always repeat x2 times for each position, adjusting the opening of the cylinders by two numbers, until we reach the final, which we have chosen and which will be suitable for the use of the intended phyllo. For this use I chose to stop at No7 in 9 positions machine. As shown in the sequence of images the texture and quality of the sheet is improved in each process step. 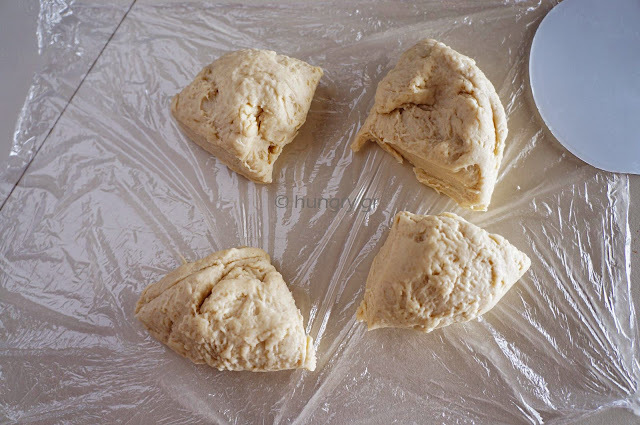 The leftover dough from the cut of the dough, you collect and reuse, incorporating them in the next dough. 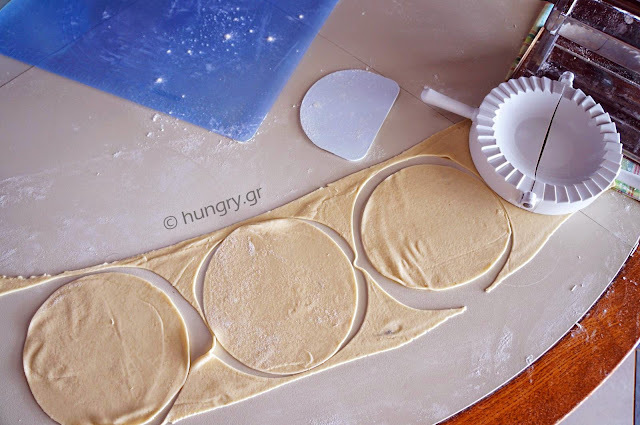 In the final position you should have a nice, soft, silky and with enough width phyllo ready for use. 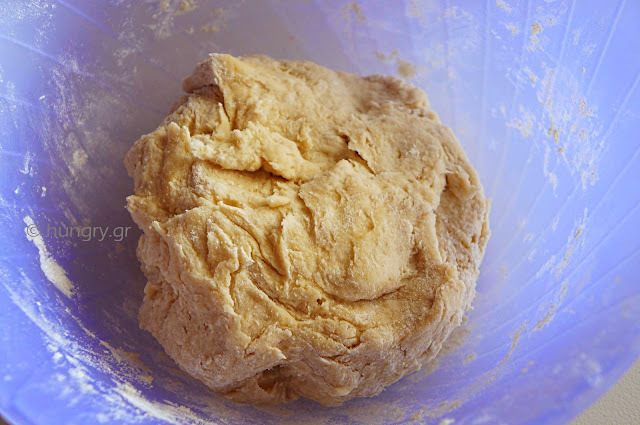 Dough cutters are used to cut dimensions: squares, triangles, rectangles or diameters. The white plastic tool Ø16cm (Ø6.3in) tool that I used as dough cutter is the same which helps format the pies. 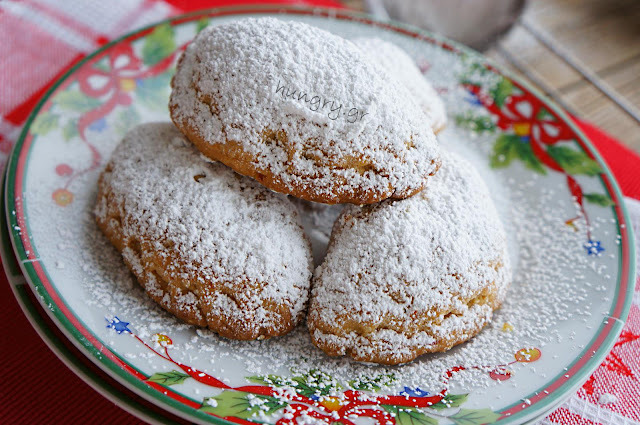 Otherwise cut in any other way, of saucers and knife or pastry wheel to glass. 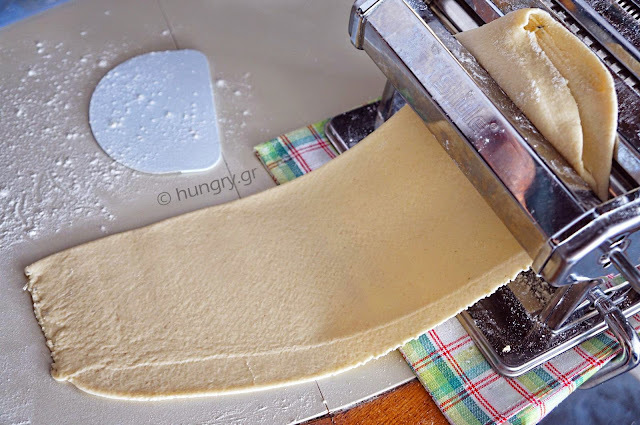 Put the phyllo that we cut up the notched side of the tool and fill with the appropriate size of the amount and type of filling of choice. Fold the two pressing thoroughly the two tool parts. You open it and ready is the pie. 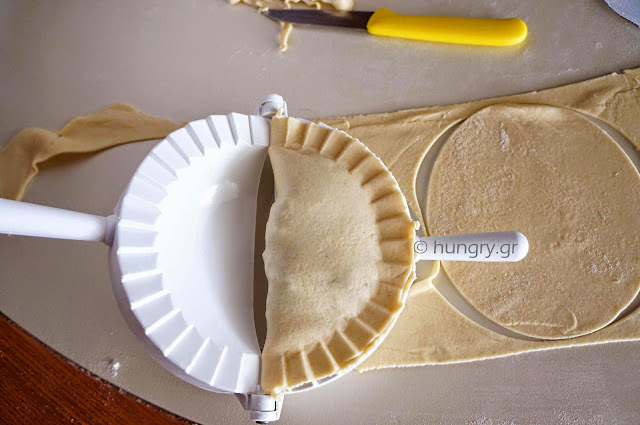 If you do not have this tool, blind the pies pressing around the edges with a fork so that the filling is trapped and does not spill out during baking. 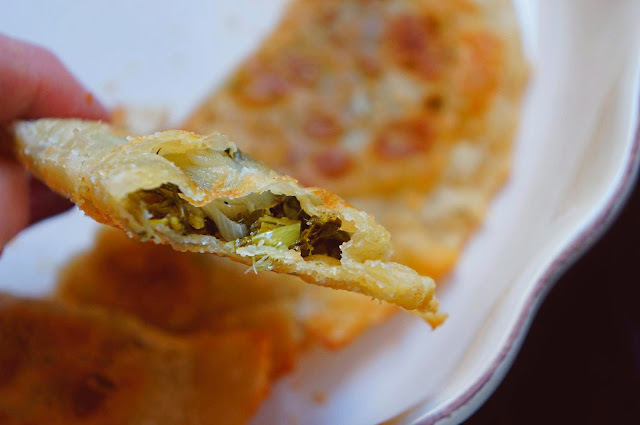 Place them in a row on a nonstick baking paper or silicone surface to fry or bake in the oven. You've always covered them with kitchen towel to complete their preparation process. The pies just came out of the pan. With these we will deal in the relevant post. It was also the cause of the creation of this post-DIY, since by itself suffice for a of dedication. 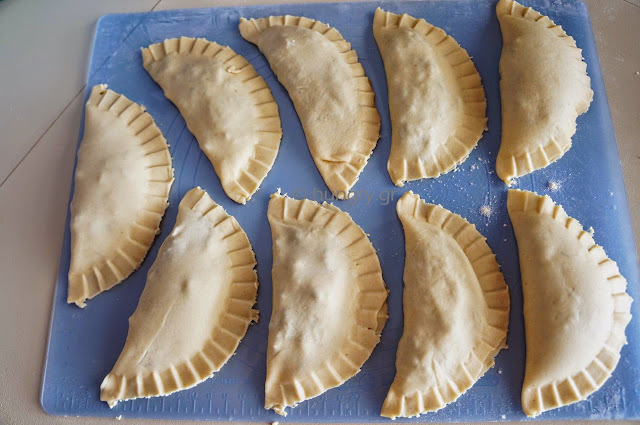 The filling, any filling, at the dough sheets, ready or homemade, comes always at room temperature. Whatever filling you use in pies is always in moderation, do not overfill. Like the flour that you use during the opening of the sheet, by moderation. 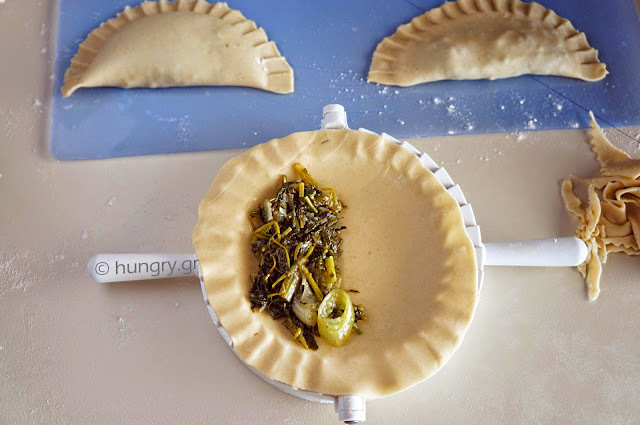 The sheet, which is generated by the dough machine can besides pies to create large family pies in oven baking, placing strips of it up to cover the dimensions of the pan, round or rectangular. 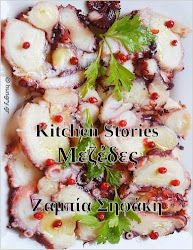 These dough cheese snails is customary in Greece to call "Cheese Pie from Skopelos Island", certainly not because they make only there, in Skopelos Island but because it is so naturalized and we do not want to spoil their grace and… nationality. 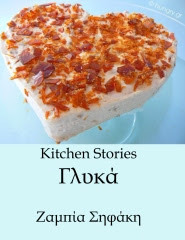 In Macedonia, say, a little twisted pie known as "Kichi" is from Kozani and baked in the oven. 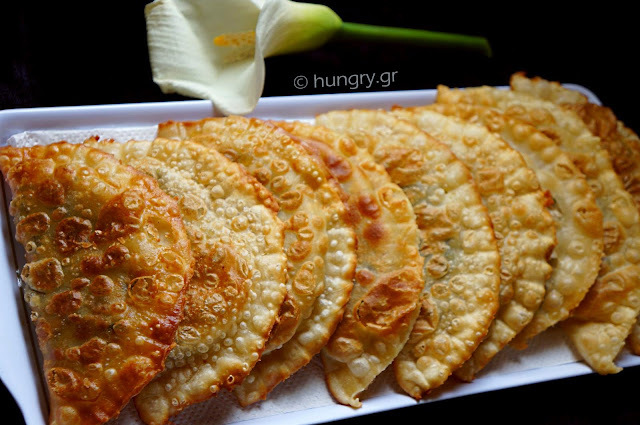 Water and flour, and filled with good goat cheese and definitely fun to knead, to fold and open thin sheet very thin. After that the taste is completed in the pan. Placed in the oven, if we prefer, become tastier in the pan and the process becomes faster.